There seems to be a focus on the scraps and sordid side of London, not due to any pessimistic outlook, but that this is a neglected reality of a metropolis that can appear to be gleaming. 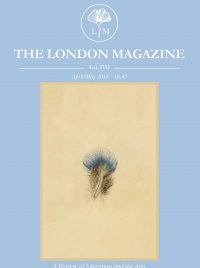 It is this veneer that mainstream publishers can perhaps work with more easily, whereas the work on London Books is often representative of the more outrageous, the challenging, and the defiant. The gritty exploits, the mundane reality, the daily grind, and the murky dust of everyday life are often forgotten by the literary world, but so richly appeals to Knight. It’s exactly this reason that one of his favourite works is one of the first to be published on their London Classics series, Night and the City by Gerald Kirsch. Originally published in 1938 his passion for the novel is a result of this seedy sketch, and characters ‘so richly drawn they hang around your brain for years after.’ Knight evidently has a way with words himself, making his descriptions and passion for literature even more inspiring, infiltrating as it does his speech and communication. Even lifelong London residents can be startled and surprised by the moving recreation of atmospheres and situations by authors on the imprint, and for those who have always lived in the city, he recommends latest release There Ain’t No Justice by James Curtis. 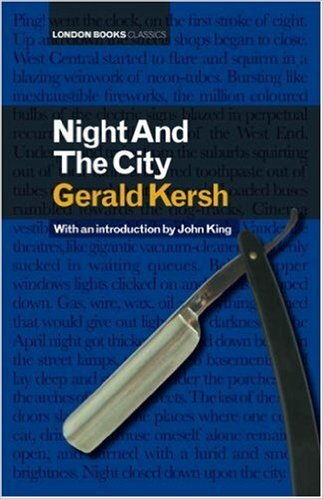 The 1938 novel tells of a life long forgotten, namely the ‘street life in Notting Hill before the jet set arrived.’ Sounding as though he is writing the blurb itself, Knight suggests that ‘it will not only entertain but grab you by the scruff of the neck and drag you around the mean streets of West London before gentrification.’ Whilst some writing can soothe, some charm, the kind of writing that London Books publishes is very much that ‘scruff of the neck’ kind, and this one of the reasons that I believe they will survive in the age of the big publisher and the small e-book – they offer something different. The costs of self-publishing may have fallen, but this of course means that more work exists in this space, and thus recognition becomes a nigh on impossible battle. As the characters in so many of the books on the imprint know, opportunities are found and lost, and life often is not fair. Frustrations will occur, and travails will wear people down. But these characters and their wordsmiths have left a legacy that has been hit upon. ‘It’s a lie to say quality will out. It might not and frequently does not.’ says Knight. ‘However most people who write do so because they love it. Have to get it out. They should and will carry on.’ With quality publishers like London Books out there, there is hope yet.